Many of you will be out getting your party on or your costume on or your children’s trick-or-treating on, but the rest of us will be waiting for the release of the new Google Pixelbook. So, let’s take a sneak peek as to what to expect. There are two truths about today’s Chromebooks: 1 – they are amazing; 2 – they are terrible. Here is what is amazing. 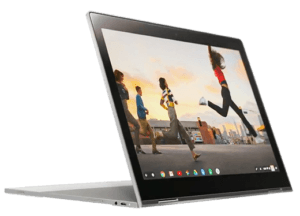 In the education market you can get really cheap Chromebooks that do more than you’d expect, but on the terrible side of things, Google has been trying to push the state of the art forward with partners but the hardware hasn’t gone that well. Google is also trying to get Android apps to work well on Chrome OS. And that as well is not working out so well. 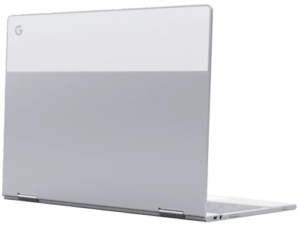 Most of all, we haven’t had a true flagship spare-no-expense Chromebook since the Chromebook Pixel 2. That was back in 2015. What would you say about a Google Chromebook that starts at a retail price of $1,000 US, and can go all the way up to $1,650? Well, the new Pixelbook does just that. It’s hard to tell if it’s taking up after Windows, the iPad or what. But it is a pretty amazing piece of hardware. This is a laptop, and with laptops, we give you specs, so here goes. 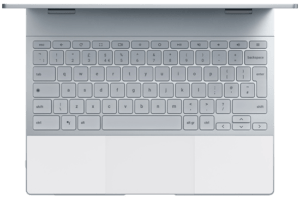 If you are hoping for a high-end spec laptop, there is a pretty good chance that it’s here with the Pixelbook. 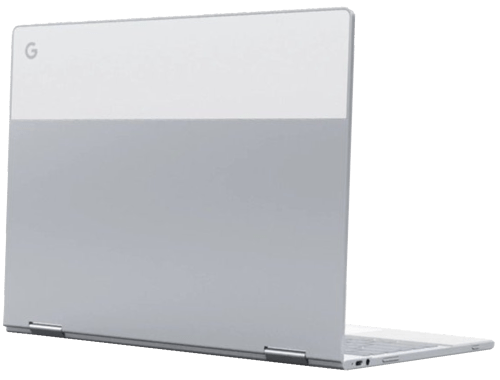 The $1,000 base model comes with an Intel i5 processor with the 7th generation Kaby Lake that’s paired with 8GB of RAM, which is a ton for a Chromebook, and there is also 128GB of storage. That’s also a lot for Chromebook. The touchscreen is 12.3-inches and in a 3 by 2 aspect ratio works out to be 2,400 x 1,600 pixels. There are two USB-C ports, a headphone jack, a backlit keyboard a battery that claimed 10 hours. Unfortunately, there is no SD card slot. If you want, you can spend more money on a faster processor, more RAM, and storage. All the way up to that $1,650 price tag. For that price, you will get an i7 with 16GB of RAM and 512GB of storage. You can also fork over an extra $99 and get the all-new Pixel Pen. It’s a Wacom style stylus with pressure and angle sensitivity. 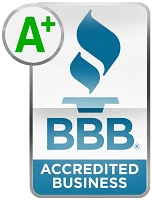 On an AAAA battery it will last just about a year, or so they claim. Weighing in at just under 2.5-pounds and only 10 mm thick makes this device very portable. Guess what more? There are no fans in the device; not even on the top-tier processor. So, those are the specs. If they didn’t have top-dollar specs in a $1,000 Chromebook, that wouldn’t bode well with the consumer base. This is one really good looking, well-made laptop. It is made entirely of aluminum and shares a lot of designs with the Pixel C tablets because it has a glass shade on the back for the WiFi antennas. When you have it closed it looks very much like a solid piece of aluminum, except for the hinges. The palm rests are made of what Google calls, advanced silicone. It is both comfortable to rest your wrists upon and also they provide protection to the screen when closed. When it’s opened up all the way the silicone also makes for really good non-skid feet. It has a glass trackpad that feels pretty dang awesome too. The keyboard has 0.8 mm of key travel. That isn’t much, but it feels much more traditional than what you’d get on a MacBook or the Surface Pro Tablet. There is awesome symmetry between the top lid and the keyboard. it really has a great design model. 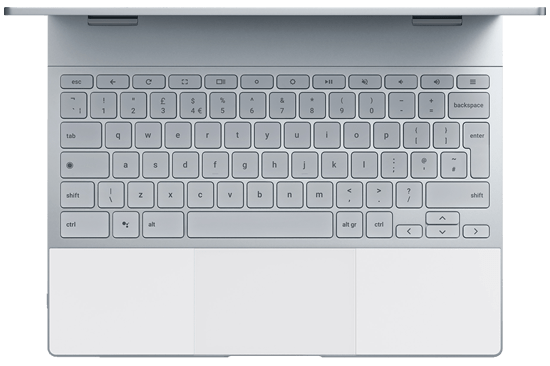 Google is also introducing some big changes to how Chrome OS works on the Pixelbook. There is a new launcher that looks nicer and it makes it easier to distinguish Android apps from Chrome apps. You still launch it with the same key, it’s the one where CAPS LOCK usually is. It still has a Google search field as well. However, there is an entirely new button on the keyboard. That new button is the Google Assistant key. The Google Assistant on the Pixelbook works pretty much the same as it does everywhere else. You can speak to it or type to it and the Assistant will respond audibly. Or not, depending on how you ask your question. One clever thing it does on the Pixelbook is it automatically offers search suggestions based upon what’s on your screen when you hit the button. You can also use the Pixel Pen to circle stuff on the screen and the Assistant can search for that as well. Many people will be happy to hear that the Android apps on the Chrome OS are finally coming out of beta. They are supposed to be a lot faster and more stable now, especially, on this very fast device. You can resize Android app windows and generally just use them like desktop apps. Some companies like Adobe and Microsoft are working really hard to release versions of their Android apps that work better on Chrome OS. This Pixelbook has a 360-degree hinge so you can put it into tablet mode. But unfortunately, tablet mode still doesn’t support split-screen apps. Also, if you have a Pixel phone you can turn on tethering automatically from the laptop just like you can between Apple laptops and iPhones. As far as the pen is concerned, it needs more working time in order to really be able to tell if it’s worth the $99 extra dollars or not. It is nice that there is never a need to pair it or charge it since it works off its own battery. 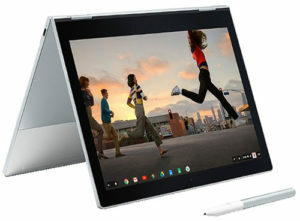 Who is this Pixelbook for? It’s for those that want the best “thing” out there at any given time. This is very clearly the best Chromebook that you can get. Google also claims that this is about the future. Many consider it a MacBook killer. All of your most important apps are made for phones and this device is built for that future. If Google can make Android apps work better on the Chrome OS, then that future might actually come to pass.